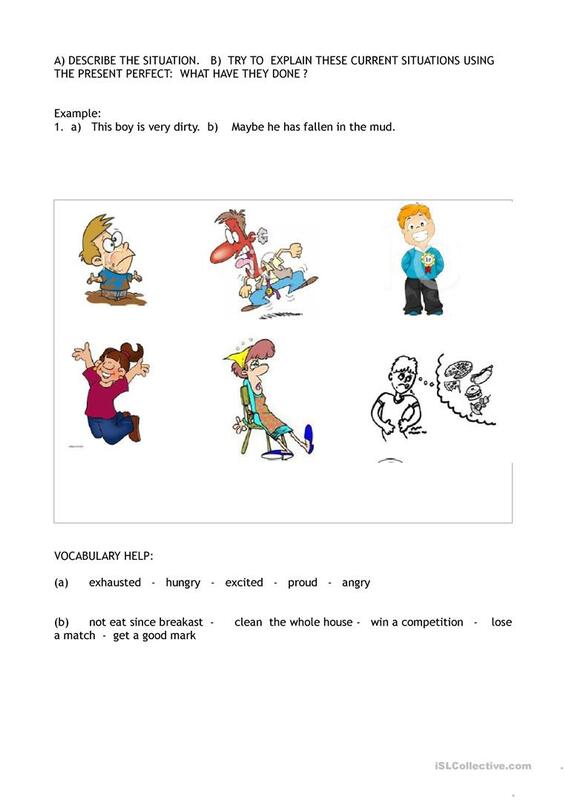 This exercise asks students to describe a person's feelings and then imagine what has caused him/her to feel that way. Possible answers are provided, but the students are welcome to use their imagination! This printable, downloadable handout is best suited for high school students at Pre-intermediate (A2) and Intermediate (B1) level. It is a useful material for consolidating Present perfect tenses in English, and is excellent for strengthening your learners' Writing skills. It focuses on the theme of Feelings, emotions.